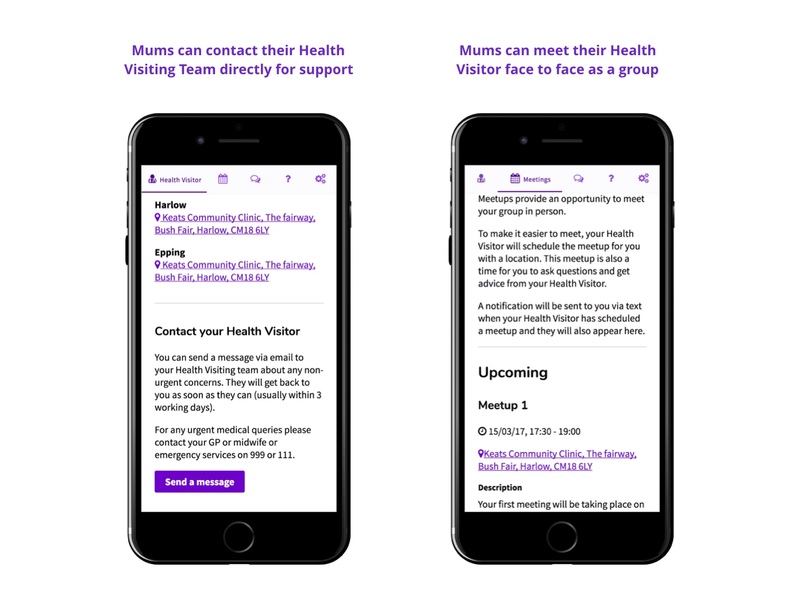 Everymum is an exemplar project for with Essex County Council, it was designed and built to a minmum viable product (MVP) in a single 2 week sprint. Within the sprint our small team consisting of only myself, a service designer, a backend developer and a project manager. The sprint involved liaising with the client, research and development of a concept idea based on the previous research - prototyping and testing the idea with iteration and build of the MVP. Everymum is a result of exploring new ways to identify and support the needs of families in Essex, Loneliness and isolation in parents stood out as big issues from our research previously with Essex County Council. The challenge to overcome is that the number of formal antenatal groups is reducing and remaining ones don't focus on building peer support. 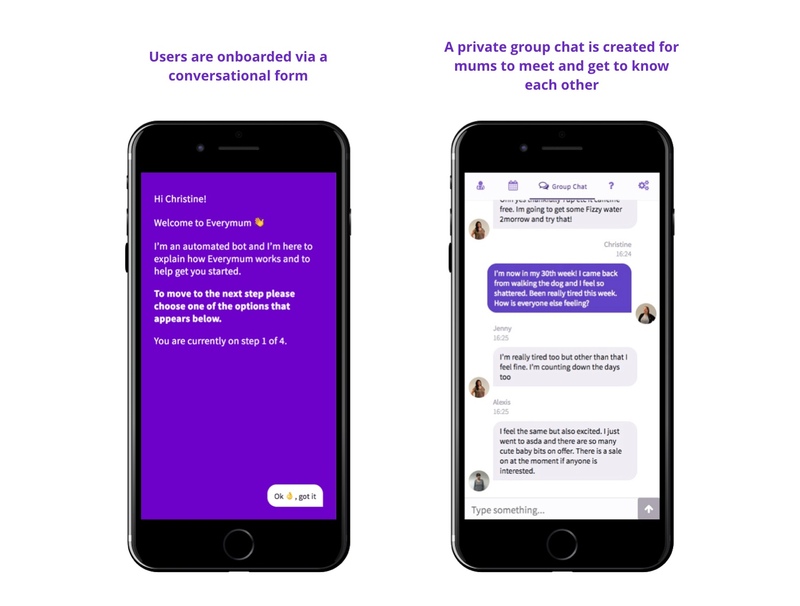 The goal of the prototype was to reduce loneliness in pre and post natal new mums, and to connect them with their Health Visitor virtually prior to meeting them. The goal of this mini project was for the health visitor team at Essex to show how quickly new ways of working can provide value. 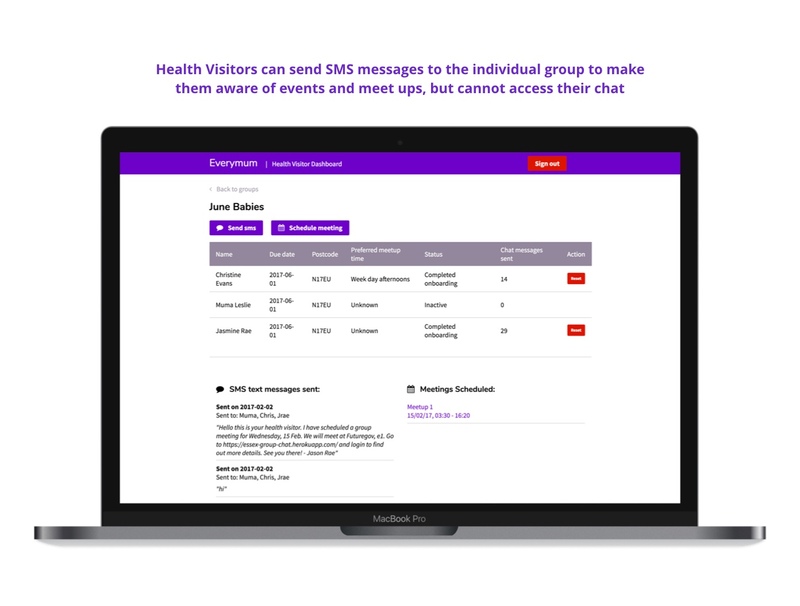 The web-app built was under an extremely tight budget and provided a working MVP for the team at Essex to test with their groups of new mums and use as an exemplar for change within their council.